PC case exhaust fan is an add-in cooling fan designed to fit in the PCI or ISA expansion slots of any computer. Reduce heat buildup in your computer case! 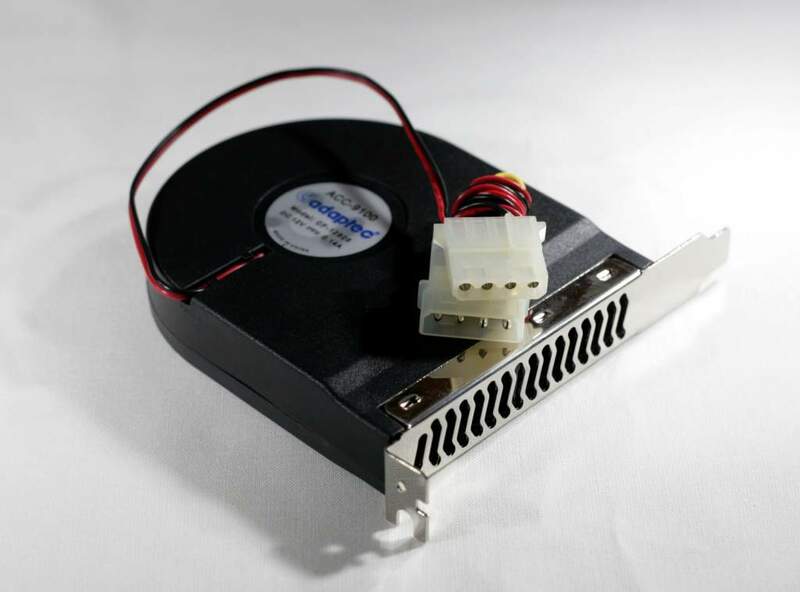 This Adaptec ACC-9100 Cooling Fan is a PCI slot mounted case fan that expels damaging hot air from inside the case and improves system stability and lifespan! Features include 2600 RPM fan speed, 28 CFM air flow and has both 4-pin large male and female Molex power connectors! Order today!